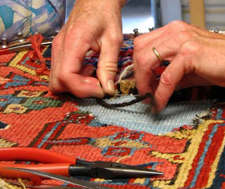 Wool moths, carpet beetles, crickets, and silverfish can all cause extensive damage to your oriental rugs. Typically they will impact areas that are dark and out of sight, so check your rugs under couches and furniture for signs of insects, eggs, or larvae. 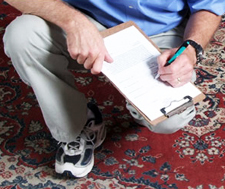 If you see any signs of infestation, or want to prevent future damage, call us for rug mothproofing. 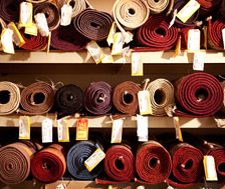 We treat rugs with a mix of chemicals that renders the wool inedible to wool moth larvae, and typically deters other insects as well. The chemical we use for moth-proofing is not an insecticide, and it’s not poisonous. 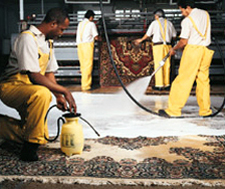 It is designed for natural dyed oriental rugs, and will last until the next rug cleaning. 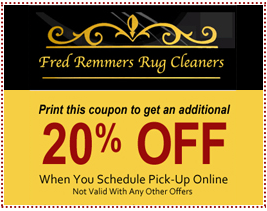 Pair your rug cleaning services with moth-proofing from Fred Remmers.